Facebook still continues being the most famous platform for social media but that doesn’t make it the best platform to endorse your e-commerce business. If you have an e-commerce business which you’ve recently started and you wish to promote your business, Instagram is undoubtedly the best platform for such intentions. As per TrackMaven, brands usually go through the highest average engagement on Instagram and this makes this platform a necessity for all brands which are eager to connect with an even more engaged audience. Although you must have been using Instagram for a long time now, do you know how you can make the most out of this social media platform? How can your e-commerce businesses witness growth through this platform? Here are few of the best Instagram tools that you can use for e-commerce. 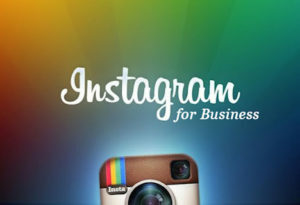 Instagram can definitely be one of the most lucrative platforms for engaging your target audience. However, an e-commerce business will not be at an edge here because it is only allowed to add one link to their profile. Instagram is such a platform which doesn’t allow its users to add links to their posts and this clearly implies that other users can just window-shop on Instagram. If the users like a product on Instagram, they’re not allowed to purchase it directly or click on the link. They will require visiting your website and checking your entire catalog to find out that product. Scoutsee can solve this issue by letting users create shoppable posts through Instagram. When you use this, you can create your own storefront and add one link to your Instagram bio. Then the users can click on your bio for more information. You may be of the opinion that your posts are performing pretty well but in what way can you compare the posts with that of your competitor? How can you actually see whether or not your recent posts are performing better than the previous posts? Iconosquare offers you a comprehensive analytics platform to measure and track all such metrics and many more. You can measure you follower growth, identify the location of the followers and also determine the real time performance of the Instagram posts. The number of likes and engagement that you receive can also be measured. You might have noticed by now that the contests conducted in Instagram are a great way of engaging with your current customers and gaining new followers. However, as there are too many user-submitted photos that you can analyze, contests in Instagram can be time-consuming and difficult to manage. Wishpond’s app called Hashtag Contest makes this entire task much easier to manage and create engaging and interesting Instagram contests. You just have to give a specific hashtag so that the app can track and track the posts under that particular hashtag. You can even increase the visibility of your brand. If you wish to increase engagement through Instagram, you have to post regularly. The content which you post should tell a good story as well. It is then that you can use Later, which is a tool to keep track on what you post on Instagram and when you use it. You can also preview your Instagram feed which appears to followers. Therefore, if you’re wondering about how you could use Instagram for promoting your e-commerce business, you should take into account the above mentioned tools.